Cashmerette has a new pattern out – the Springfield Top. 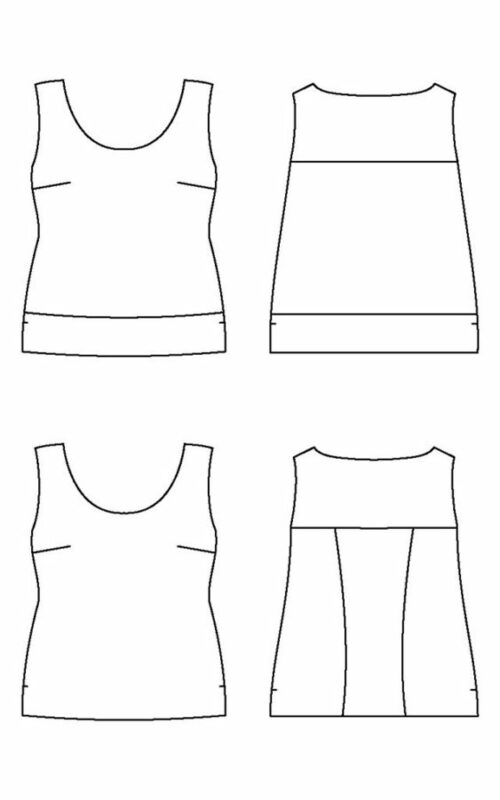 It’s a woven tank pattern with options for a closer fitting princess seamed back or a looser back version. I’ve been wanting some sleeveless tops to wear to work so I bought it as soon as I got the email. This pattern got printed and assembled right away – I love trimless patterns! Then I just had to find some fabric. This pattern requires 2 yards + of fabric if you’re using 44″. That seems like a lot for a tank top. Most of my stashed fabrics for tops are 1.5 yards and the rest are 3 yards for dresses. 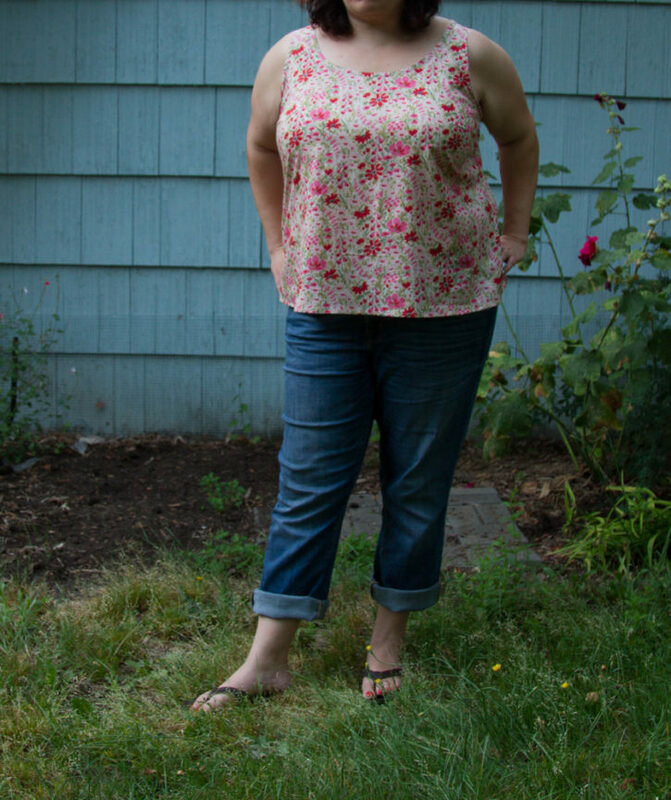 I ended up biting the bullet and pulling this Moda lawn I had purchased in January 2015. I figured if I was really going to make a dress out of it I would have done it by now! I opted not to cut the bias binding for the neckline and armholes and use premade bias tape. Luckily earlier that day I had scored a massive bag of bias tape and seam binding at an estate sale for $4. By not using my fabric for the bias tape, I managed to get this cut out of around 1.5 yards of fabric! So there is hope for using this for some of my stashed top fabrics. My gripe is that $14 seems a little pricey for such a basic digital pattern. The version I made was literally 3 pattern pieces and could have been 2. I get that Big 4 companies charge the same for every pattern, but that doesn’t matter when I can get them for $2. I would really like to see independent pattern makers adjust their pricing models to reflect the effort that went into creating a pattern.